This week, Waymo announced that it will turn an old factory in the Detroit, Michigan area into a retrofitting facility for level four autonomous vehicles. There’s plenty of unused factory space in the Midwest, but Waymo chose Michigan because of the state’s long history as the center of auto manufacturing. It was the latest in a string of announcements that attempts to reinforce the narrative Michigan economic leaders have been pushing for years — that Michigan’s manufacturing history will give it a leg up in becoming a center for autonomous and connected vehicles. “Michigan is a good location if you’re looking for people with both regular assembly skills as well as skilled tradesman and you know electrical and mechanical engineers,” Gartner autonomous vehicle analyst Michael Ramsey told VentureBeat in a phone interview. Detroit and Ann Arbor, Michigan are among the top 5 cities for jobs in the self-driving car industry, according to ZipRecruiter. Buoyed by the University of Michigan, the type of autonomous vehicle sector that’s being built in Michigan looks different than the kind of community that’s being built in Silicon Valley and driven by the large tech companies like Alphabet and Uber. Depending upon how the next several decades go, Michigan could become just as synonymous with autonomous and connected vehicles at it has become with car manufacturing. Whether that becomes reality or not will depend upon four key players in Michigan — the automakers, the university-sponsored research, the public sector, and the startups. The two biggest automakers left in Detroit, Ford and GM still invest plenty of money into mobility-related research and development efforts into both Detroit and nearby Ann Arbor. Ford for example recently announced that they were donating $15 million for a new new robotics lab at the University of Michigan. But they’ve also made big bets elsewhere in recent years — Ford invested $1 billion in Pittsburgh’s Argo AI, while GM acquired San Francisco’s Cruise Automation for more than $1 billion back in 2016. One advantage that Michigan has is its lower cost of living. As Silicon Valley becomes more expensive — and more engineers and technical talent want to move elsewhere — that could encourage Ford and GM to invest more in Michigan. But for now, with Silicon Valley’s reputation as the cutting-edge center for technology, as well as Pittsburgh’s reputation for producing top talent out of Carnegie Mellon, the automakers are likely going to continue to hedge their bets and spread out their R&D investments between those cities. Michigan’s public and private sectors have pumped a lot of money into Mcity, a testing facility and granter of research money for autonomous and connected vehicles. In 2017, Automakers including Ford, GM, Honda and Toyota, each pledged to invest $1 million in MCity over the next three years. MCity has about 60 industry partners in total, each of whom have pledge various amounts of funding to the facility. As of 2018, Mcity had invested $26.5 million in research, development, and deployment projects. Mcity funds not only technical research projects that seek to improve the engineering of autonomous vehicle systems, but also research projects that explore the societal implications of the technology, like how accepting consumers are of self-driving vehicles and how their perception of them has changed. To that end, the University of Michigan law school also launched a Journal of Law and Mobility, to explore the legal implications of self-driving vehicles and other advancements in transportation technology. “[It’s] not just the engineering pieces, but a lot of the other social questions that [need to] be well understood before these systems are really going to benefit us. We’re working just as hard on those topics as on the engineering in Michigan,” Mcity Lab Director Greg McGuire told VentureBeat in a phone interview. McGuire also told VentureBeat that in recent years, there’s been more of a push into connected vehicle research in Michigan, which could help Michigan set itself apart from other places for self-driving vehicle research if connected vehicles become widely deployed in the coming decade. In 2016, Michigan became the first state in the nation to pass a comprehensive set of regulations to allow for the testing of self-driving cars on the road. The legislation did favor traditional auto manufacturers, rather than tech companies with self-driving research arms like Alphabet and Uber by requiring companies to either work with a motor vehicle manufacturer, or get their vehicle approved by the National Highway Traffic Safety Administration in order to test their vehicles on the road. State legislators will likely face pressure in the coming decades over how to balance creating a favorable environment for both the traditional automanufacturers, as well as the new automated vehicle companies that are attracted to Michigan. And as in any state, Michigan’s willingness to work with self-driving car companies can change depending on whose in the legislature. Michigan’s Economic Development Corporation, a public-private arm has also proven eager to work with self-driving car companies, having approved up to $8 million in tax breaks for Waymo’s new factory. Expect to see this and other economic development organizations get more aggressive in trying to woo companies that can help the state continue to establish itself as a growing center for automated vehicle operations. The most well-known mobility startup in Michigan is May Mobility, which operates publicly-available self-driving shuttles in Detroit and Columbus, Ohio. Headquartered in Ann Arbor, May Mobility has raised more than $11.5 million in venture capital. A number of self-driving tech startups have also set up operations in Ann Arbor after stints at Techstars Mobility, an accelerator program Techstars launched in Detroit in 2014. There’s Seeva Technologies an automotive supplier that develops visibility systems for autonomous vehicles with dual headquarters in Seattle and Detroit. There’s also Polysync, which has developed a vehicle control interface for autonomous vehicle testing. Polysync was started in Portland, Oregon, and set up an office in Ann Arbor after working out of the Techstars Mobility offices for a period of time. Other startups have come out of research projects at the University of Michigan. Computer vision startup Voxel51, led by an associate electrical engineering and computer science professor at the University of Michigan, has developed a cloud-based analytics platform that can help autonomous vehicles make sense of what’s on the road — distinguishing between highways and city streets, as well as what various road signs and lane markings mean. Conversational AI startup Clinc, though not exclusively a mobility startup, is testing out an in-vehicle voice recognition system with Ford. 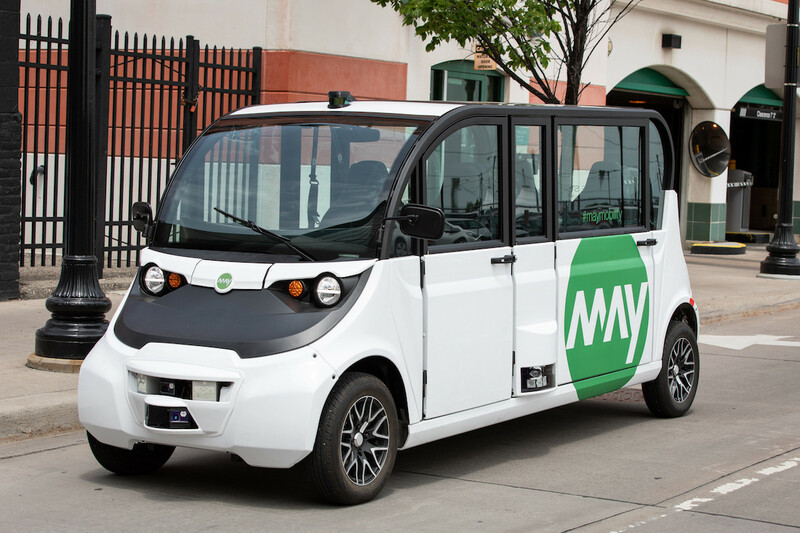 Finally, other startups have come to the area through MCity, like French autonomous shuttle startup Navya, which set up a production plant in nearby Saline, Michigan. Silicon Valley and Pittsburgh have an edge in that their home to more well-funded autonomous vehicle startups than Detroit or Ann Arbor. But no one company will emerge as the de-factor leader until automated vehicles become a regular occurrence on the road. ← Which foods can help with breastfeeding?